Below are reviews of Lafe`s Spray Unscented Deodorant - 118ml by bodykind customers. If you have tried this product we'd love to hear what you think so please leave a review. This Works. Brilliant Deodorant and no irritation. Great ingredients and very gentle, but powerful on odour. I would highly recommend. 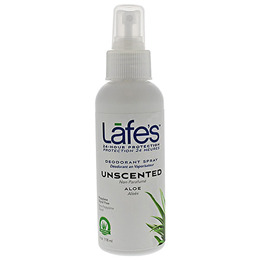 Lafe`s Deodorant Spray Unscented with Aloe. 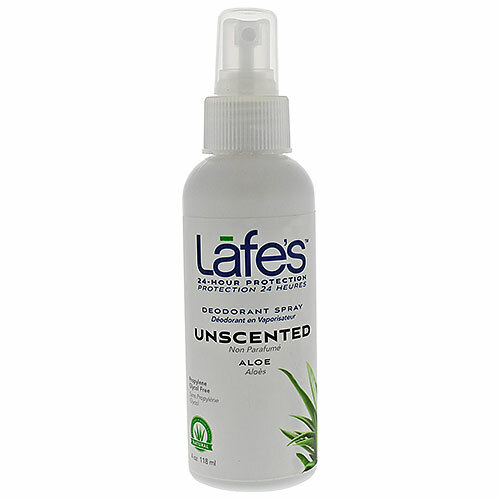 Lafes natural deodorant in an effective spray formula.